With one of the hottest selling cars on the planet, GM is not standing still with the Chevrolet Camaro. Word is out about a new 330HP V6 planned for the 2012 Camaro, code name "LFX". 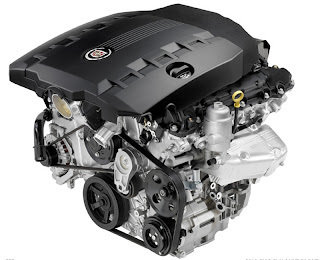 This possible power train would be based on the LF1 V6 motor found in the Cadillac CTS, SRX and the Chevrolet Equinox. This new V6 would have dual-overhead cams, variable valve timing, spark-ignition direct injection and be E85 compatible. These improvements could add up 330HP and more than likely, even better fuel mileage. Put this in the base model Camaro and the Ford Mustang would have even more catching up to do in the pony car race.